Remember, all shipping costs are included in the selling price as shown. Order early! your mouth. See how to order above. 55 to 60 lbs. of fruit. fornia, Texas, Arizona, Oregon, or Washington. 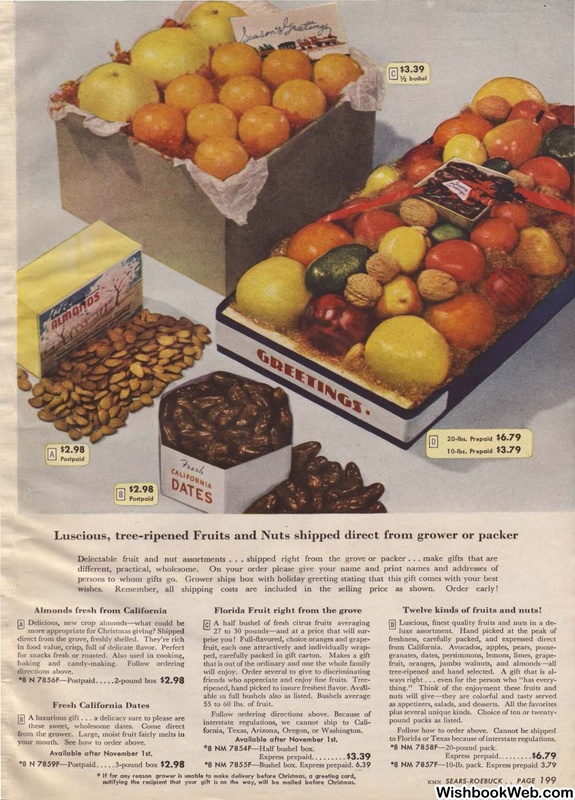 Twelve kinds of fruits and nuts! to Florida or Texas because of interstate regulations.